How do I remove a workout from My Practice? It's just as easy as saving a workout! 1. Head to your Practice and click on the series or class you would like to remove, or search for it in the Explore bar at the top of any webpage. 2. Once you click on the Series page, you should see a "Saved to My Practice" button right below the instructor's name. 3. 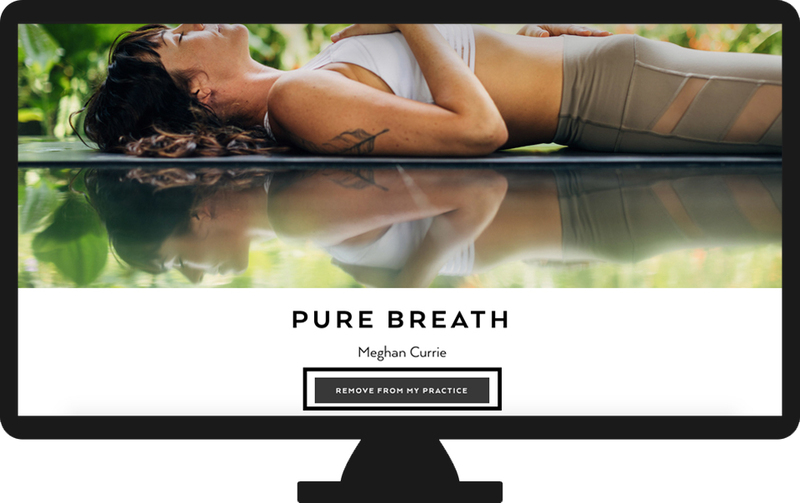 When you hover over the button you will see it change to "Remove from My Practice". Go ahead and click on this button to remove the series or class from your Practice. *This process will look the same in our mobile apps. Just head to the series or class page in your Practice, or by searching in the Explore bar, and click "Remove from My Practice"! If you need some further assistance, go ahead and send us an email and we will be with you shortly!